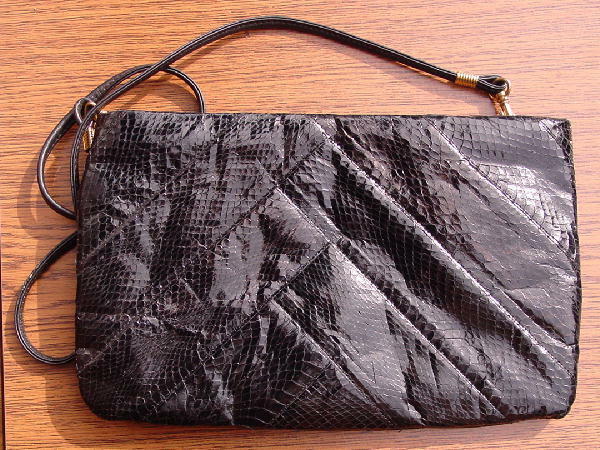 This vintage black snakeskin purse has a 44" detachable black leather shoulder strap. It has a black fabric lining and interior zipper pocket, and was made in Hong Kong. A Canadian model wore it for castings slung over her head and shoulder, and then detached the strap and used it as her evening bag.